Large penalties apply for non-compliance and this explains what we can and cannot do as a consequence. Please note if guidelines are not followed it may result in your bin not being collected. 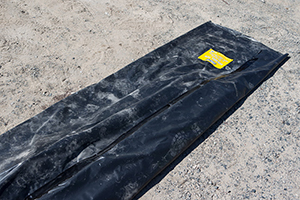 We take this very seriously as these guarantees the safety of our drivers and all who come in contact with the material. Please click on this link below for full details. 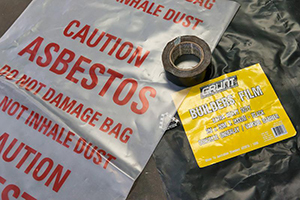 DisposAL OF MATERIAL CONTAINING ASBESTOS IS TO BE SEPARATED, WRAPPED AND LABELLED AS SHOWN IN IMAGES BELOW. Separated from all other material for disposal; Nothing else can go in that bin. 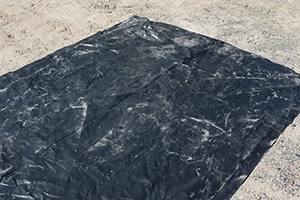 Wrapped in piles of no more than 5 sheets at a time in black builders plastic ( minimum 200 um) and taped to contain and prevent asbestos fibers entering the atmosphere during transportation by road. 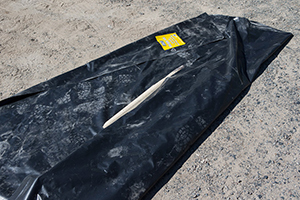 Taped with either cloth electrical or gaffer tape ensuring it is tightly wrapped around parcel. Masking and packing tape is not acceptable. 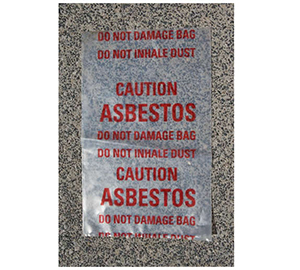 Labelled or marked with the words “Caution Asbestos”. Please ensure ample tape is used to secure packages to discourage easily unwrapping. 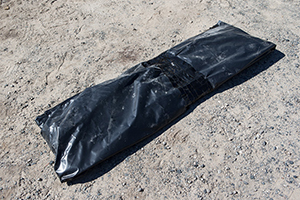 There is a duty to notify others of presence of asbestos a person who takes material containing asbestos to a disposal site (or facility approved by the DEC) must inform the person who operates or controls that facility that the material is, or contains asbestos. Therefore we must be notified prior to collection. Penalties for non-compliance exist if an offence is committed under the environmental protection act 1986 and as such result in a fine of up to $1000 enforced by the DEC. Please call the office during business hours if you have further questions or would like to book a bin. 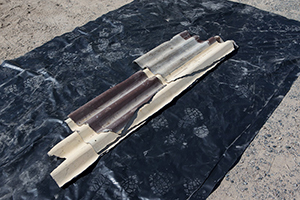 Steps to wrap asbestos correctly as pictured below must be followed to ensure collection. 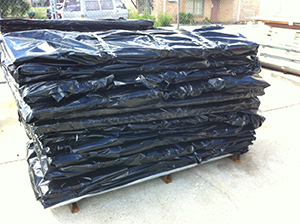 Step 1: first lay builders plastic black builders plastic (minimum 200 um) see images of acceptable material. 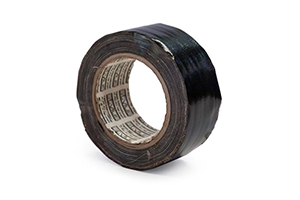 Step 3: tape must be either cloth electrical or gaffer tape ensuring it is tightly wrapped around parcel. 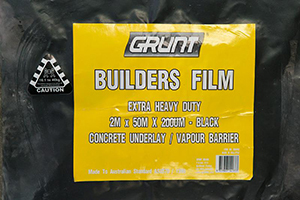 Masking and packing tape is not acceptable see images of acceptable materials. Step 4: please ensure ample tape is used to secure packages to discourage easily unwrapping. 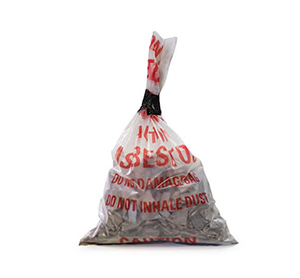 Step 5: small pieces should be bagged separately and if required asbestos bags are available for purchase, you can choose how many you require at checkout page.